Gift planning with UCP of Greater Cleveland is a creative process that adapts to the changing philanthropic needs and wishes of our supporters. Successful gift planning allows you to make charitable contributions in ways that maximize personal, family and philanthropic goals. A range of charitable giving options can be tailored to meet your needs, and can include benefits such as guaranteed lifetime income for you and/or your loved ones or savings on capital gains, income gifts and estate taxes. Philanthropy should not be complicated, nor should it require great wealth. When you give to UCP of Greater Cleveland, your gift should be simple to make. You choose what to give, how to give, and how your gift will be used. 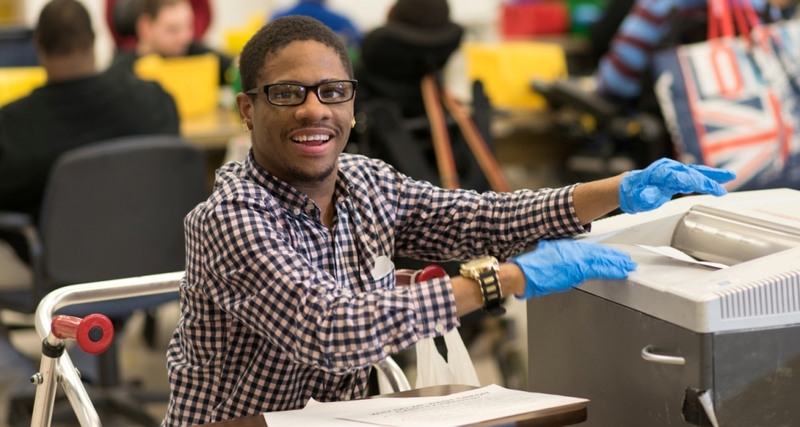 You can enrich the quality of life and empower independence for children and adults with disabilities for generations to come, ensuring that UCP of Greater Cleveland can advance its mission to empower children and adults with disabilities to advance their independence, productivity and inclusion in the community. A variety of options are available to achieve your financial and philanthropic goals. You can choose a testamentary gift (which will occur after your lifetime), a deferred gift (a gift which will happen at a future date set by you) or a life income gift (a type of gift that will pay you and/or your spouse an income for life). You can make a gift to UCP of Greater Cleveland of your paid-up life insurance policy or you could purchase a new policy and name UCP of Greater Cleveland as the owner and beneficiary. With a gift of a paid-up life insurance policy, you can deduct the cash value of the policy at the time of the gift. With the purchase of a new policy, you would establish the policy and then transfer the ownership to UCP of Greater Cleveland. If there are premium payments that remain to be paid, you could make annual gifts to UCP of Greater Cleveland to help cover the cost of the premium, which would also be tax-deductible to you. As with a life insurance gift, naming UCP of Greater Cleveland as a beneficiary designation can offer you significant value. Due to applicable estate and income taxes, family members usually only receive 25 to 30 percent of the value of an IRA or retirement plan. Much of this tax can be avoided if the assets are instead used to fund a bequest to UCP of Greater Cleveland. A charitable gift annuity (CGA) is a simple agreement in which we promise to pay you, or you and your spouse, a lifetime income in exchange for a gift of an asset. The payment is fixed at the time you establish the gift and can be paid to you in monthly, quarterly, semi-annual or annual payments. A charitable remainder trust (CRT) is generally used when there are multiple beneficiaries. A CRT can provide income to you, you and your spouse, or your spouse and your children for life or for a term of years, in exchange for a gift. The payment can be fixed (annuity trust) or variable, based on the year-end market value of the trust (unitrust). A retained life estate is a gift plan that allows you to donate a home to UCP of Greater Cleveland while retaining the right to live in the home for the rest of your life. A gift to UCP of Greater Cleveland of the remainder interest in a personal residence provides you with a current charitable deduction and may allow reduction or elimination of capital gains tax on the property’s appreciation. You retain the right to live on the property, but continue to be responsible for all routine expenses, maintenance fees, insurance, property taxes, repairs, etc. UCP of Greater Cleveland is extremely grateful for the generosity of its many benefactors. To show our appreciation, we welcome the opportunity to recognize each and every contributor, or, if you wish, preserve your anonymity. This is just a sample of the many planned giving options available to you. We encourage you to discuss these options with your financial advisor. If you do not have a financial advisor or for additional planned giving assistance, please reference the list of Estate Planning professionals below.